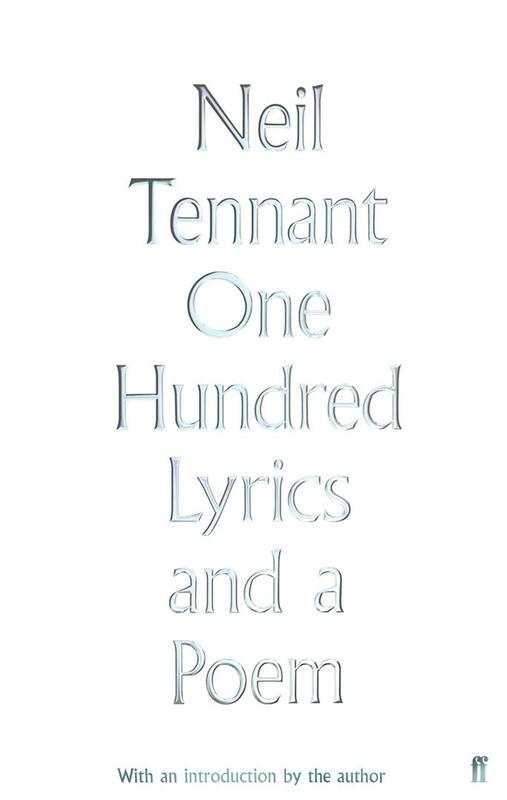 Hardback copy Of One Hundred Lyrics and a Poem by Neil Tennant with exclusive letterpress print. 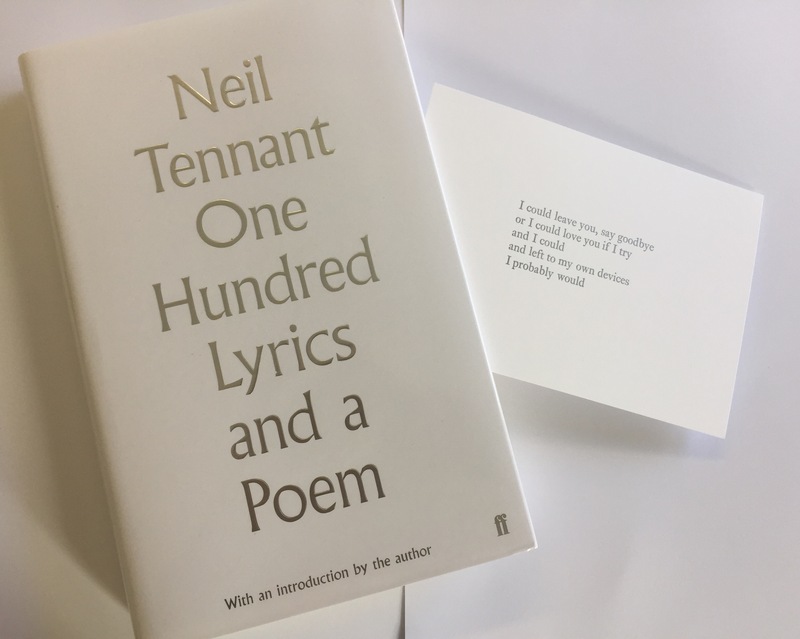 Each copy comes with a beautiful letterpress print produced to celebrate the publication of Neil Tennant’s collection of lyrics One Hundred Lyrics and a Poem. 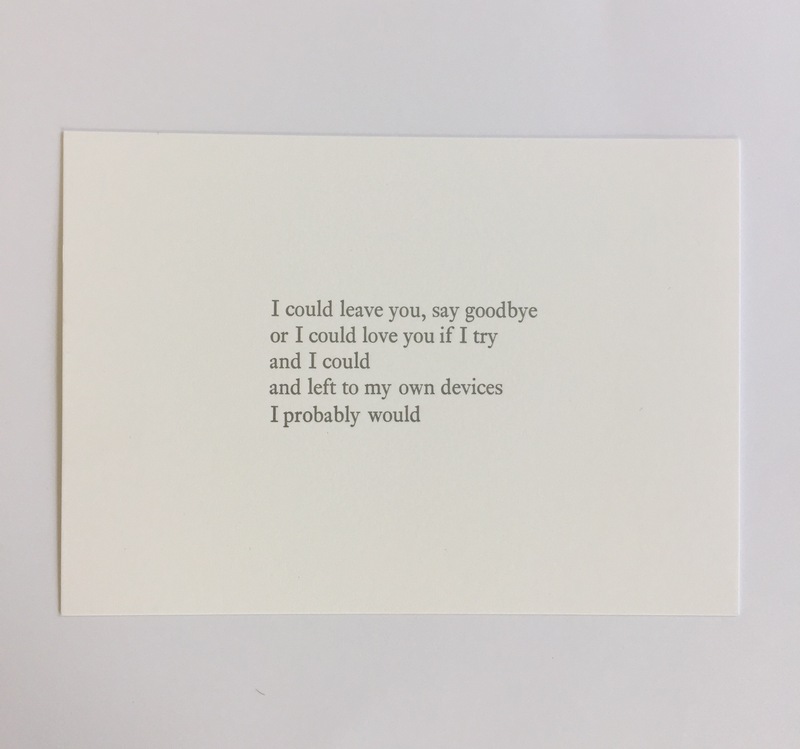 Not only did Neil select the lyrics for the print (taken from the chorus of ‘Left to My Own Devices’) but he also spent time at the letterpress printer himself. 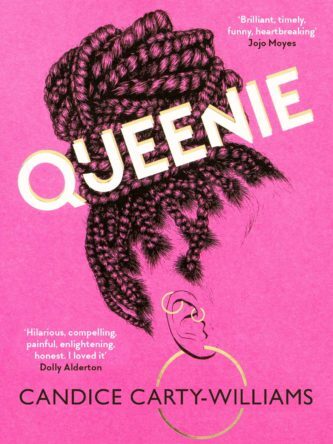 Often surprisingly revealing, this volume is contextualised by a personal commentary on each lyric and an introduction by the author which gives a fascinating insight into the process and genesis of writing. 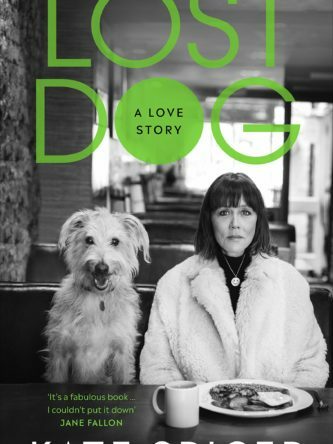 Flamboyant, understated, celebratory and elegiac, Neil Tennant’s lyrics are a document of our times.